Signal Mountain Middle and High School will have a new principal next fall. 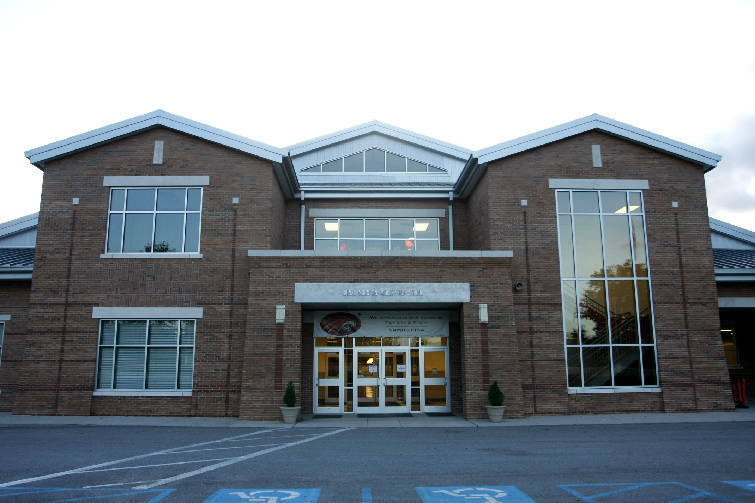 POLL: Is the state's ruling on the Signal Mountain faculty members fair? Five Signal Mountain Middle/High School staff members disciplined for drinking alcohol on a senior trip may appeal to the state to keep their teaching licenses after the Tennessee State Board of Education recommended their licenses be suspended for one year. Those five members and two others were suspended without pay in April after the county schools' central office staff investigated their behavior during the five-day cruise to the Bahamas in March. They were chaperones on the trip. Hamilton County school board Chairman Mike Evatt said the school received notice of the state action Tuesday. "Our office is obligated to send a report to the state. They evidently thought this was serious enough to do something further about it," Evatt said. Prinicipal Tom McCullough -- who announced his retirement early Wednesday -- said the incident did not affect his decision to retire, though he acknowledged that "any time a school principal has to deal with issues like this it can cause a lot of stress." The staff members have 30 days to request an appeal hearing. If they do, an administrative law judge in Nashville would determine whether to enforce the state board's recommendation. No appeal had been filed as of Wednesday, said Dannell Walker, general counsel for the state Board of Education. According to state board rules, staff members cannot possess or use alcohol at school or any school-related activity, Walker said. "That is hard and fast exactly what happened in this case," she said. "There was not a lot of wiggle room for our decision, based on those rules and action we've taken in similar cases." Walker said she has dealt with several instances of teachers drinking on school trips. She said the board evaluates those cases as closely as if the teachers came to school or sports games under the influence. "I think it's important for district directors to train their staff on what is expected of them," she said. "They're in charge of supervising students, and if they're not sober, it brings a whole other realm of liability on the district." District 2 school board member Chip Baker said he "very much expected" an appeal. "They're all very strong staff members. Did they do something wrong? Yes. Do they deserve a whole year suspension? No." Counselors LeAnn Welch and Anne Cushing sparked the central office investigation after they were caught with alcohol at school, officials said. Welch is the wife of Jonathan Welch, a Signal Mountain dentist who is running in the August election for the District 2 school board seat. Welch and Cushing were two of the staff members whose licenses have been flagged, along with Assistant Principal Jason McKinney, teacher Steve Redman and guidance counselor Leslie Sharpe. She is the wife of Robert Sharpe, assistant superintendent of secondary education for county schools. College adviser Sandy Mitchum and registrar Lizetta Paturalski were placed on unpaid suspensions. Sixteen students were disciplined after the trip for violating school policy by drinking when the cruise ship was docked in the Bahamas. Investigators said they believe none of the teachers drank in the students' presence.